Apple slices are great in salads, pies, and eating out of hand. 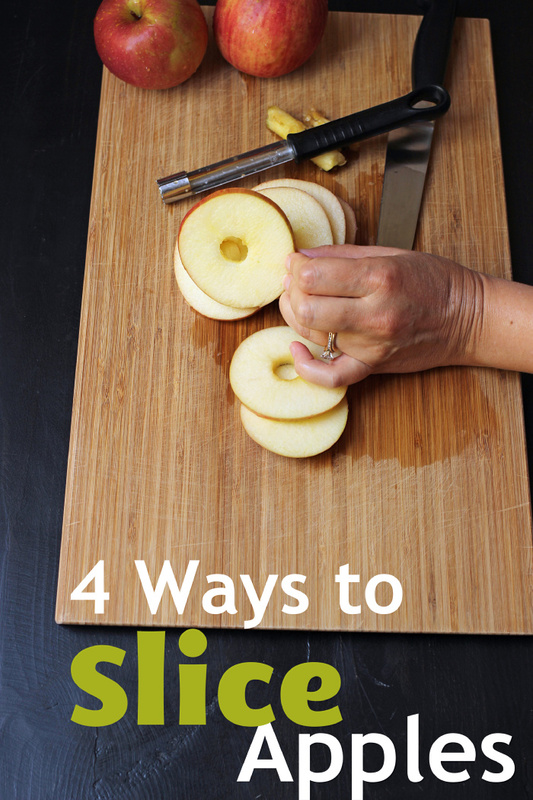 Learn how to slice an apple four different ways for easier eating, serving, and baking. Apple are an easy, healthy, super duper packable snack. Not only are they packed with vitamins and fiber, but they also taste great. 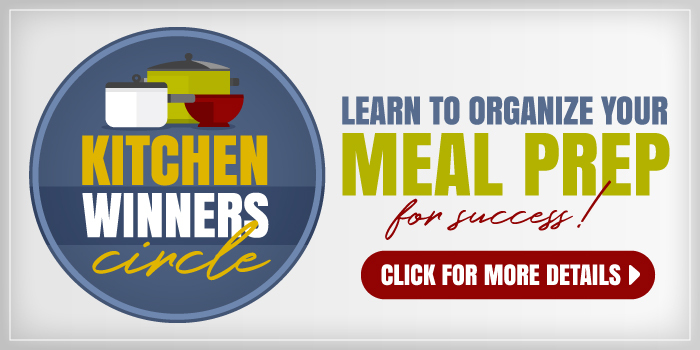 They can play the starring role in apple pie, desserts, salads, and even sandwiches! 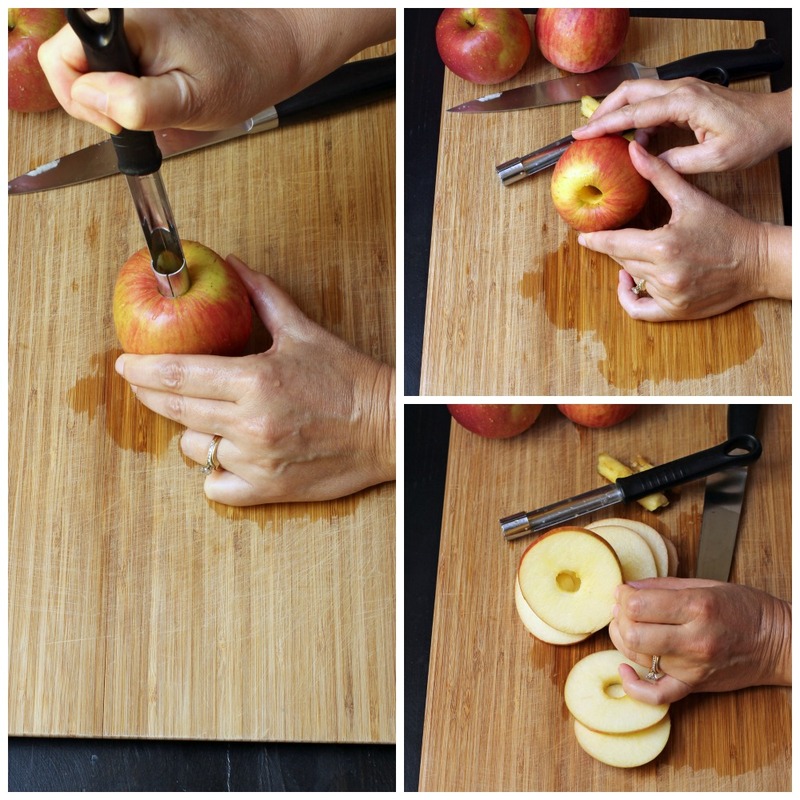 While it is just fine to chomp off a bite from a whole apple, slicing apples makes them easier to eat and much easier to serve. Since kids just don’t generally get all the edible bits off an apple core, cutting apple slices is a great way to waste less. How ’bout them apple slices? Apple slices are one of a kid’s first snacks, but they also find a place in adult food, too. Slice an apple into a salad for a mix of savory and sweet. 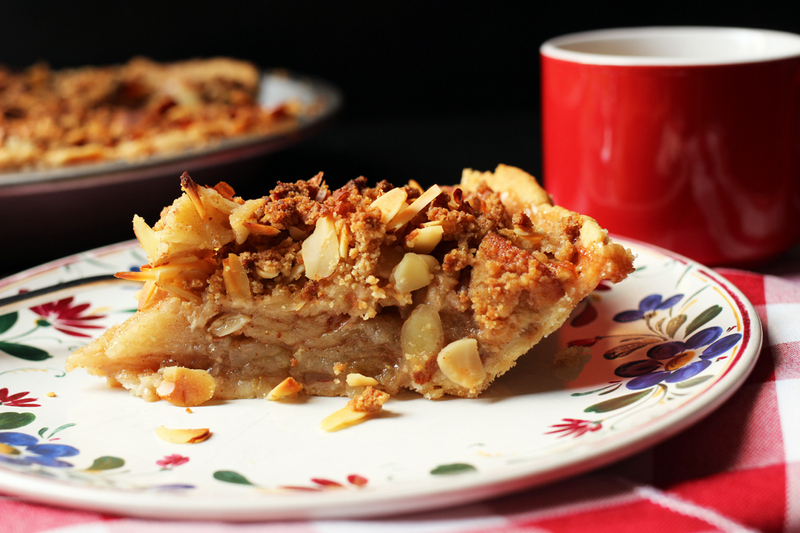 Fill a pie with sugar and spice-coated apple slices. 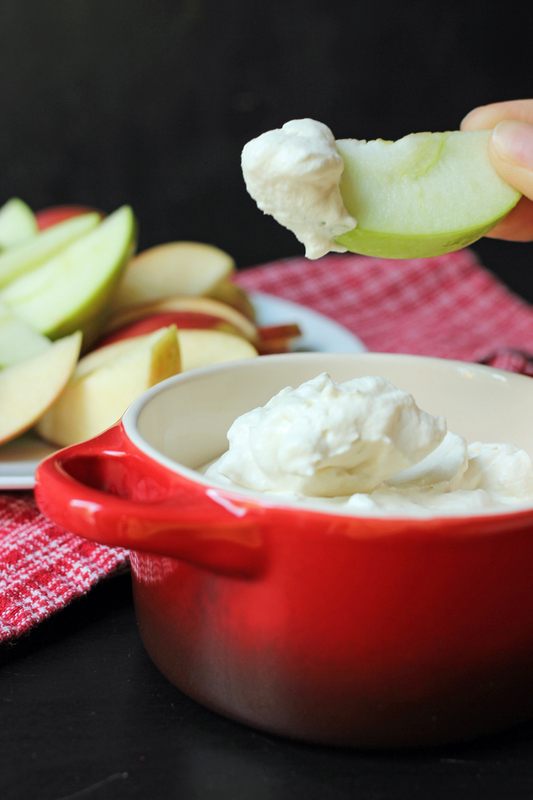 Tuck a few thin apple slices into your favorite chicken salad or grilled cheese sandwich. What are the best apples for eating fresh? Not all apples are created equal. Some are better for eating than others. In fact, if you head to an apple farm that boasts heirloom varieties, you may stumble on some that taste almost inedible for fresh eating, but are magnificent once baked. How can you keep sliced apples from turning brown? Since we try to pack a lunch when we go on outings, I’ll often cut up several apples, douse them in lemon or lime juice, bag them up and stash them in the cooler. The citric acid in the juice helps keep the apple slices from turning brown. How big should apple slices be for apple pie? 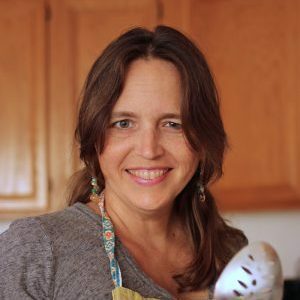 How thinly you slice apples for pie is really based on personal preference. However, the thicker the slices, the longer it will take for your filling to cook. This becomes a problem when your pie crust gets overly brown while your filling is not quite done. 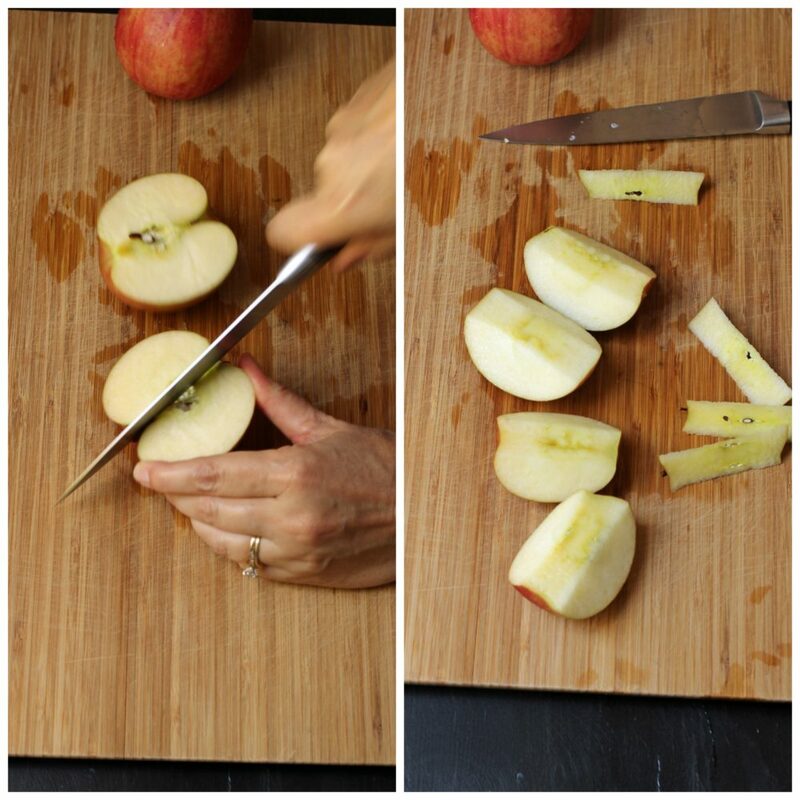 Slice apples for pie about 1/8- to 1/4-inch thickness. How do you slice an apple? Over the years I’ve tried a number of different slicing techniques and tools. I vary the method depending on how much time I have and how many apples I’ll be slicing. The Old School Method: Cut through the Core. This is probably the way your gramma did it. Cut the apple in half through the core. Cut each half in half. Cut out the core from each quarter. This method works best when you’ve got a good sharp knife, and time to make exact cuts. The quickest way is cut around the core in straight, diagonal cuts. Yes, there might be a little more waste around the core, but at the same time, if you’re too lazy to cut it the old school way, you might as well just slice your apples and enjoy them. This method is really easy. Just slice around the core like we did with the pineapple. The slices aren’t all symmetrical, but that’s okay. They still taste the same! 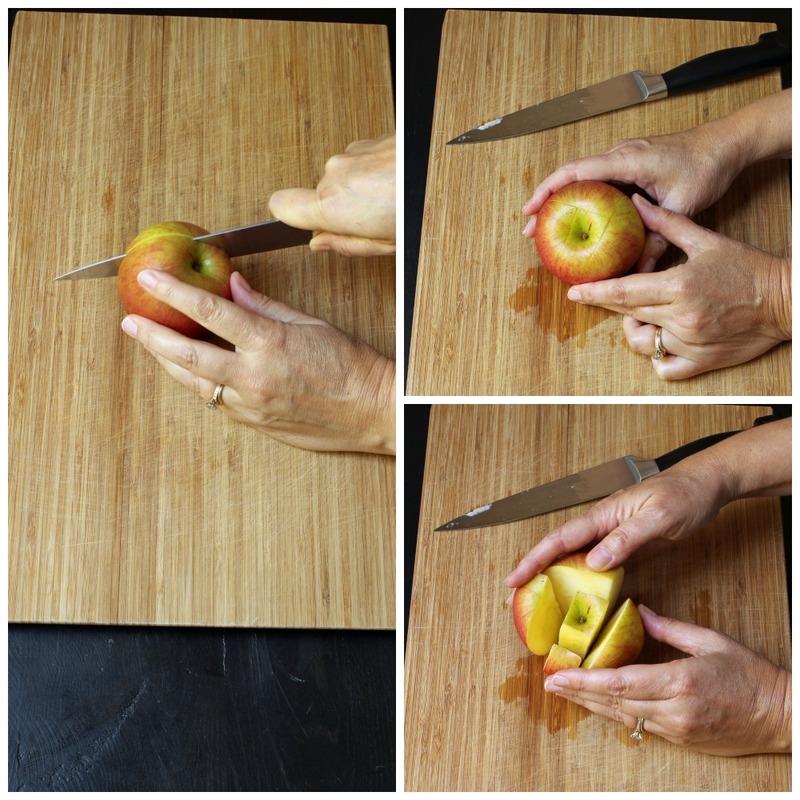 Cut through the apple alongside the stem and center. Turn the apple and cut again down next to the core. Continue turning the apple until you’ve made straight cuts around the core. Slice the quarters and chunks into thin slices. Again, all you need is a good sharp knife. An apple corer is another tool we regularly use. 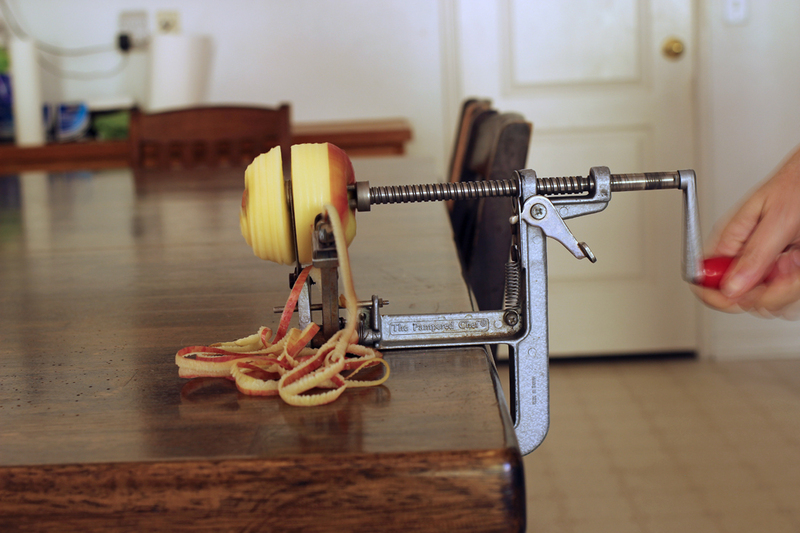 It’s not only great for hollowing out the apples for baked apples, but it is also very handy for making apple rings. Simply shove it through the middle of the apple and remove the center core. Sometimes, you have to fiddle with it. Not all apples are created equal. Then slice your apple into rings. My daughters call these “apple donuts”. I love this gadget. 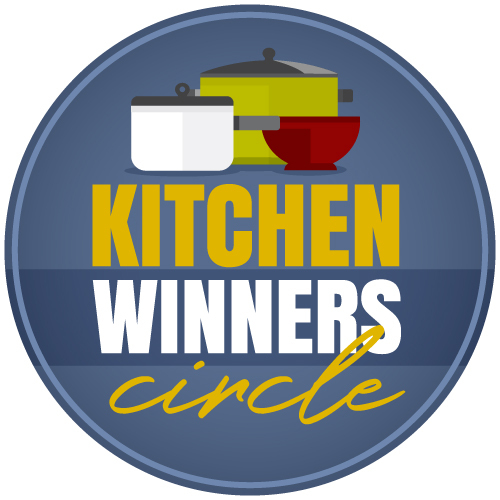 The apple-peeler-corer-slicer does just that; it peels, cores, and cuts apples in one fell swoop. Plus the apples are cut into these cool spirals. Just slice down the side of the apple to have the spiral break into apple rings. I usually use this gadget when I am making lots of pies at one time. The trick to this tool, however, is that only small to medium sized apples really work. And you’ll want a trash can underneath to catch all the juice and peels. So, there you have it. No matter how you slice them, apples are delicious. Go buy some today! How do YOU slice them apples? I do it the quick cut way. The kids get all the wedges, and then I’ll eat around the seeds, since I HATE wasting anything. I use a apple slicer/corer but don’t cut all the way to the bottom. Pull the corer back up and hold the apple together – wrap in plastic wrap. It stays together and sealed so you don’t need lemon juice. When the kids eat at school they unwrap and can pull off each piece very easily. The kids think it’s funny because it looks like a whole apple but they open it and it all falls apart! I use the “quick cut wedge” method. To minimize waste, I cut off the little bits around the core and store them in a bag in the freezer. Later, I use these pieces in muffins or scones. I definitely slice because if i don’t the waste is ridiculous. I cut the apple in half through the core. Then I quarter through the core. Then I take a quarter and cut the tiny bit of core off. And slice. It’s hard without photos. I saw rachael ray do it and thought that is really smart. I waste very little that way. I’m “old school.” That’s the way my mama did it so I know where I learned it. It cuts into nice even slices with minimum effort and little waste. It might be too small for really large apples. My question is how to you keep them from turning brown? I either cut it the old school way or use my apple wedger from Pampered Chef. I will have to try that! I use my Ikea apple slicer Bonus, is using it for onions! So, it’s not a unitasker! Old School. However, if you don’t mind a little waste on special occasions, slice like in your first picture and then use a small cookie cutter in the middle. Really cute for a party with the right cutter. I did this for cucumber with a small heart-shaped cutter for our valentine party–except for with cucumber, the cutter is “skinning” it for you. (Then I nibbled on the remnants or fed them to our feeder bugs). Whole. My 7 yr old eats the most apples. I buy organic now , they are a dirty dozen.